THE TT WINFLEX is an axial fan and centrifugal high performance. They are specifically designed for the supply and exhaust ventilation of premises requiring the flow of high pressure air. Fans are compatible with round air ducts Ø 100-315 mm. 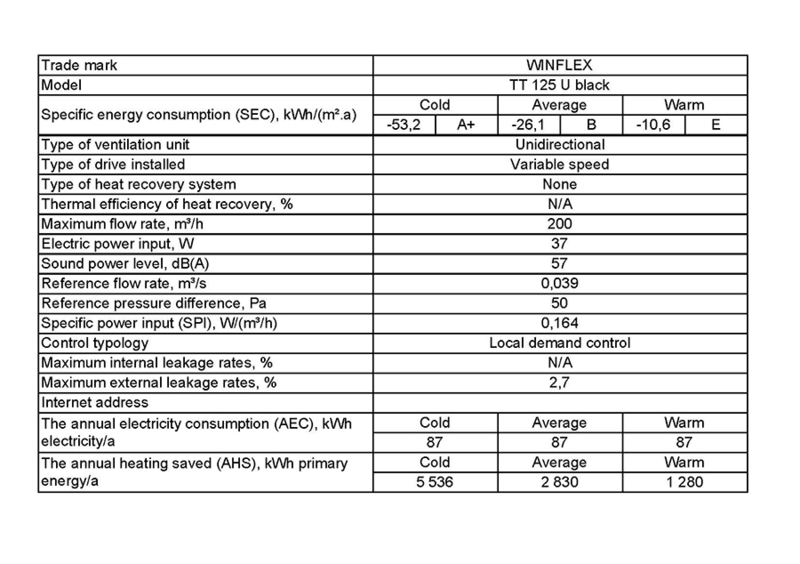 Originally scheduled for ventilation of bathrooms and kitchens and other Damp also the ventilation of apartments, country houses, shops, cafes, etc ... WINFLEX TT Perfectly fit the room growing large. The TTU are equipped with a thermostat and a controller to perfectly control the temperature in your grow space. Intensity: from 0.19 to 0.26 A. 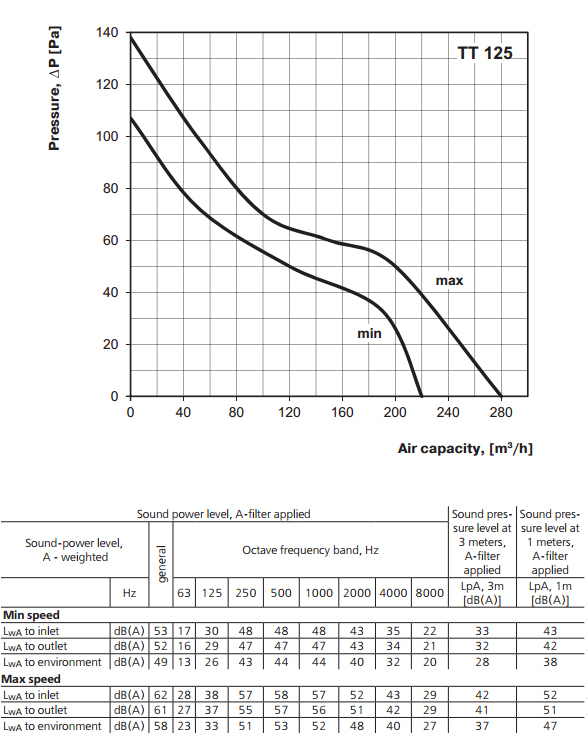 Noise level (3 m): 29 dBA (for 220 m3 / h) or 36 dBA (to 280 m³ / h). * Meets EC 327/2011, power consumption at optimum efficiency 125W.